AC motor 4 HP continuous with a peak load of 6 Hp, heavy duty incline motor, speed 0.5 up to 22 km/h and an incline up to 15%. 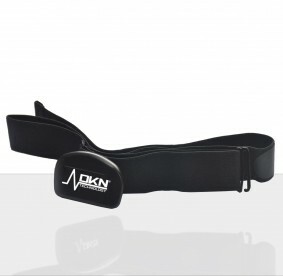 The DKN T-775 is a full commercial grade machine. 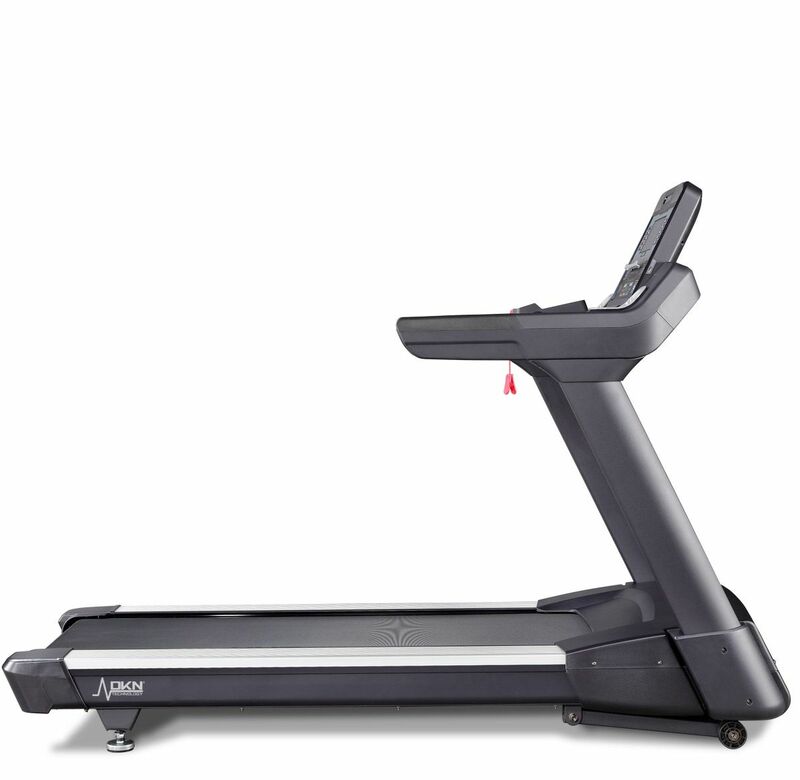 The T-775 is DKN-Technology’s top-of-the-line treadmill for light commercial facilities, focussing on performance and durability. Its’ AC 4 Hp continuous motor with a peak load of 6 Hp and the heavy duty incline motor deliver a speed range from 0.5 up to 22 km/h and an incline up to 15%. 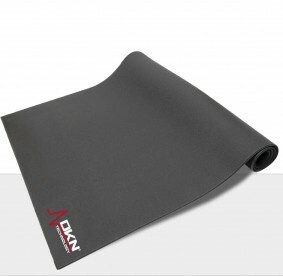 The running surface is extra wide and long: 56 x 156 cm, and fitted with a high-grade 3.3 mm orthopaedic belt. 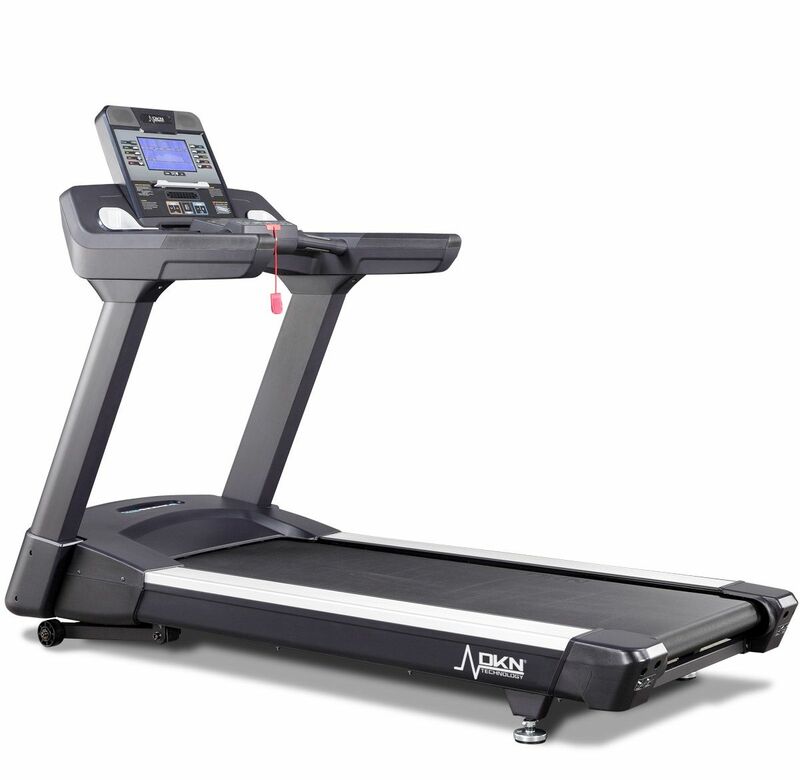 This treadmill guarantees a safe, natural run for users up to 180 kg. 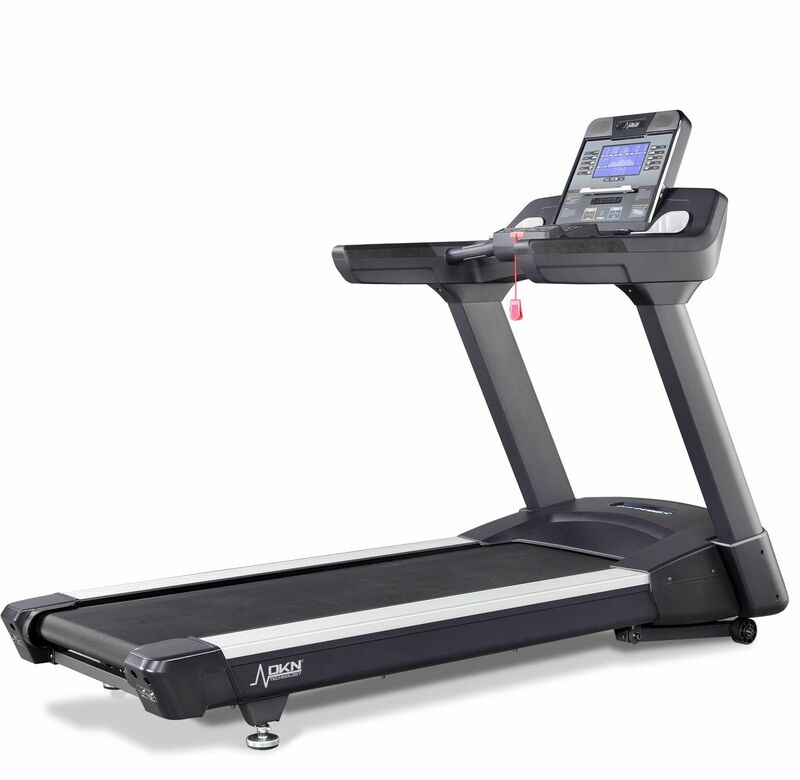 Walking or running on the T-775 is safe for your muscles and joints. The material and structure of the Flex Deck cushion your feet properly, thereby reducing pain in the joints and muscles of the knee and foot. DKN running decks are secured at the back so you get the greatest shock absorption at the front, right where you need it—where the foot hits the tread. This Flex-Deck design provides maximum lateral stability across the running surface, and reduces the impact on your running joints by up to 15% compared to road running. The effect feels similar to running on grass. And the T-775 has a noise level 1/3 lower than a regular treadmill. The maximum peak in a workout at 12 km/h is just 56 decibels, more or less the sound level of a normal conversation. 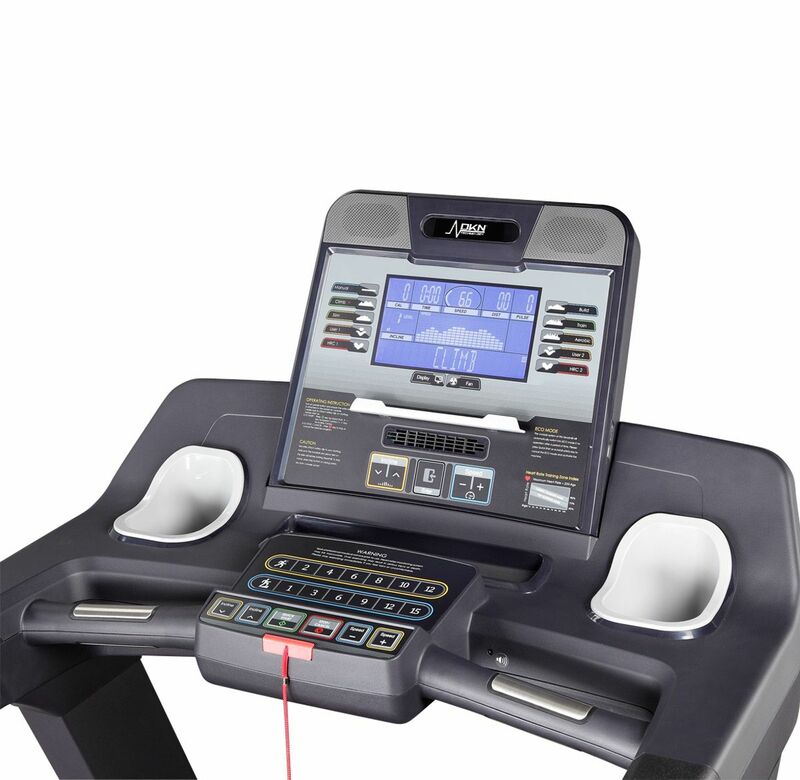 The T-775 console offers you a large LCD window that constantly and accurately monitors and offers simultaneous readouts of speed, time elapsed, distance covered, theoretical calorie burn, incline percentage, 'laps' run, and heart rate reading. The feedback is provided in a clear and easy to see window. The LCD console displays a Manual Run, a Climb Program, Aerobic, Slim, Train and Build, 2 User Profiles, and 2 Heart Rate Control programs. Use the controls on the console to modify speed and grade gradually, or use the ergonomical One Touch Control buttons to control direct speed and incline settings with a single touch.